Crisis of Care in the NHS – is it ok to be old? It’s tough being old. This weekend my brother and I managed to travel the many miles from the North to the South of England to see my old Dad Alf, in sheltered accommodation in the sleepy Sussex town of East Grinstead. There has been much in the news about the crisis of care within the NHS, and indeed my Dad has been on the receiving end of some of the slapdash treatment our elderly are subject to within the postcode lottery of hospital care here in the UK. 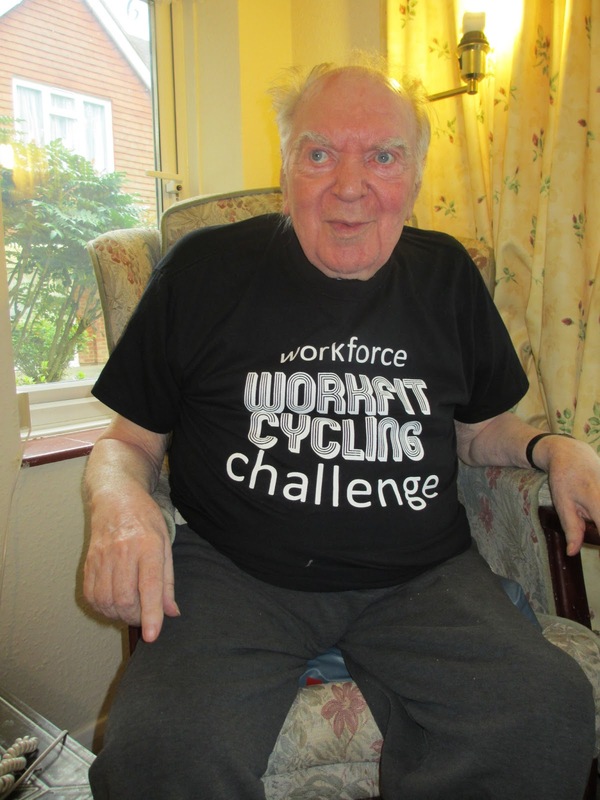 Last year he had a tour of the hospital accommodation of the South Coast of England as he was discharged and re-admitted repeatedly over several months and became one of the those ‘revolving door’ patients we hear about. These poorly folk can make up to two thirds of of patients in a hospital at any one time. 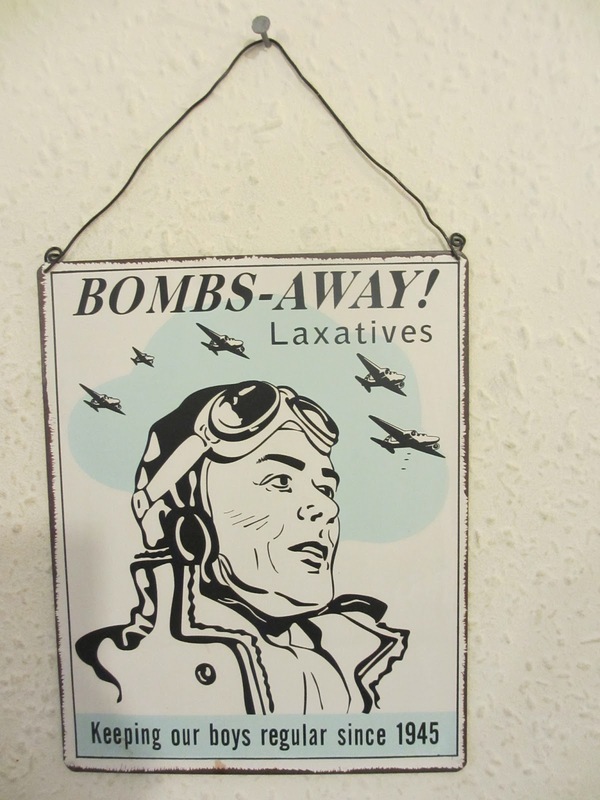 NHS managers have a lovely term for them – ‘bed blockers.’ That just about sums up how my Dad was treated as he was tipped out of the last ward still riddled with infection, coughing badly and having been left in bed for weeks in an elderly care ward – with even less mobility than he had when he went in. 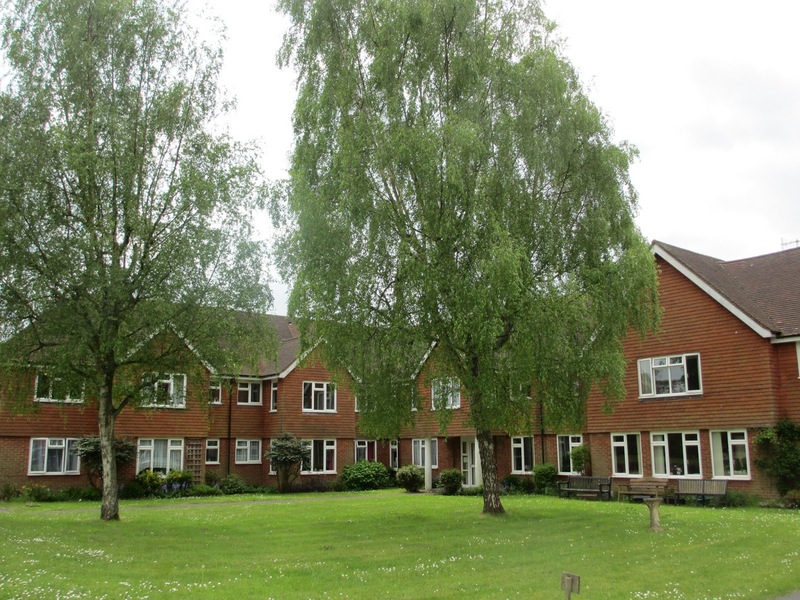 However, Alf was at last returned to Dart Court, his Housing Association sheltered housing scheme in a leafy suburb of the town. If you ever get old (there is a strong possibility) and start to conk out a bit, Dart Court is where you want to end up. The care he receives here is exceptional and I cannot praise the staff highly enough. They are all so professional and genuinely seem to like the older people they look after. That’s not something you can fake, believe me. Since getting out of hospital (I sent him a congratulations you have escaped again! from hospital card) he is shuffling about again with his walker, his cough has improved and his infection subsided and the indomitable spirit of Alf is still aflame, burning as fiercely as it can when you’re 89. 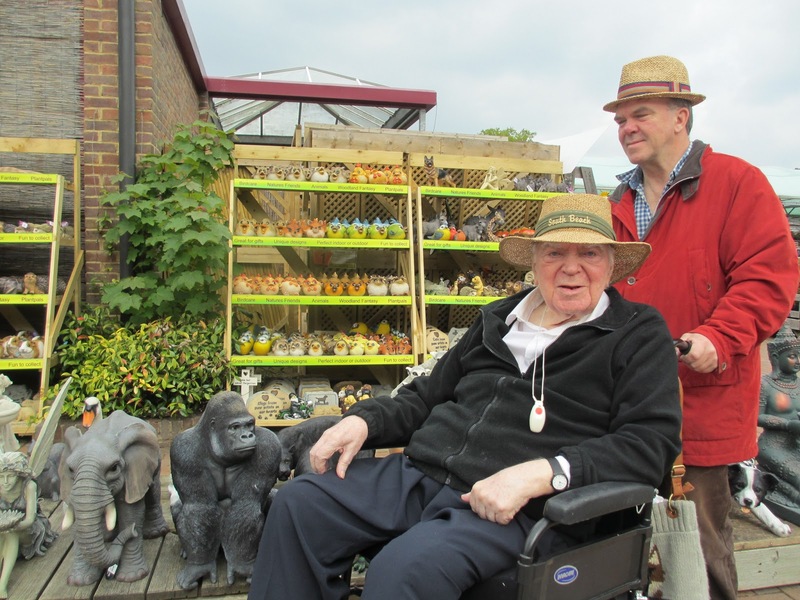 Venues for wheelchair visits are limited around East Grinstead, but you can’t beat the nearby Snowhill, a lovely local garden centre. At Snowhill you can cruise the isles of beautiful plants, buy any amount of bizarre items you never knew you wanted/needed or have a slap up feed in the cafe. Alf particularly enjoys the five items for £2.99 breakfast and a nice cafe latte with six sweeteners. He can’t have a cooked breakfast at home as he is banned from his own kitchen after he put a baguette still in its cellophane into the microwave, set fire to it, and the fire brigade had to be called out. 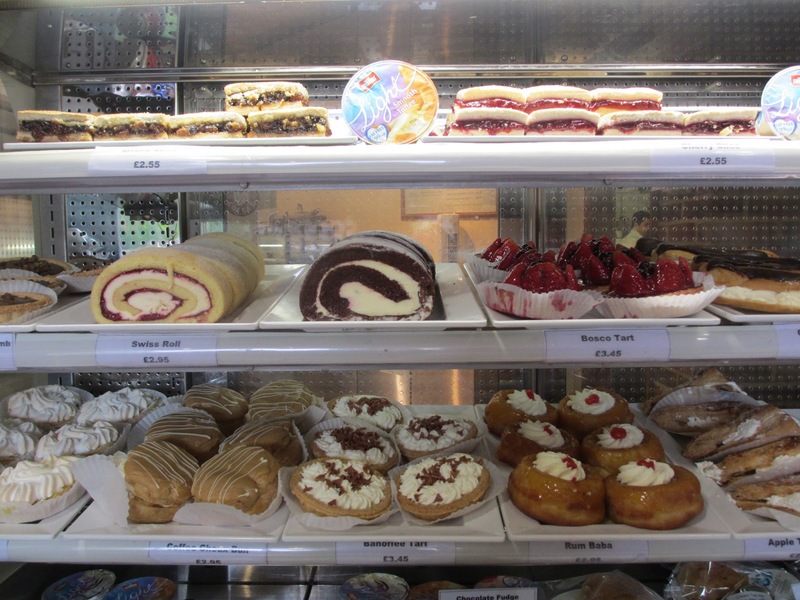 Snowhill also offers the option to purchase delicious cakes which may well hasten the onset of your Type 2 diabetes. Sensibly, cakes are not allowed for the diabetic at Dart Court. 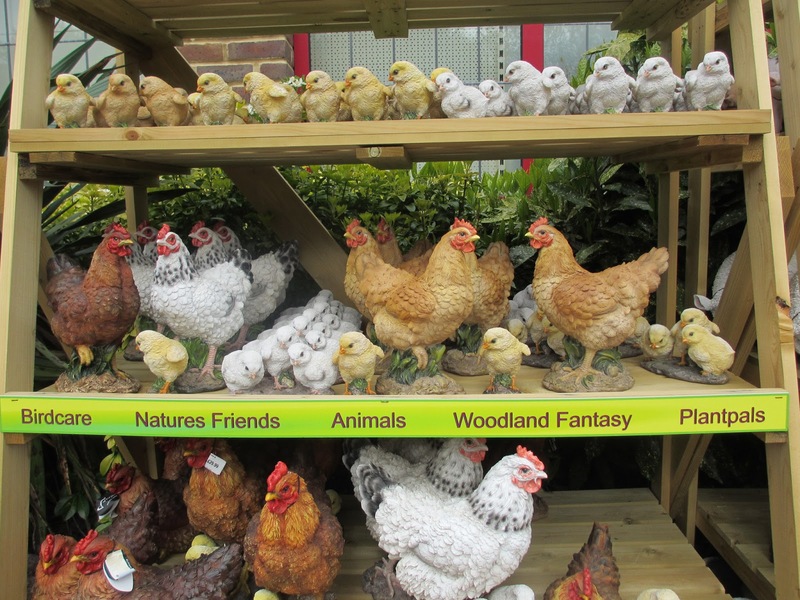 Other unusual possible purchases include a whole range of pot animals to make your garden either a) a woodland fantasy (chickens etc) or b) for some bizarre reason, a zoo! Who knew people would want to buy a pot gorilla to nestle in their Petunia bed? 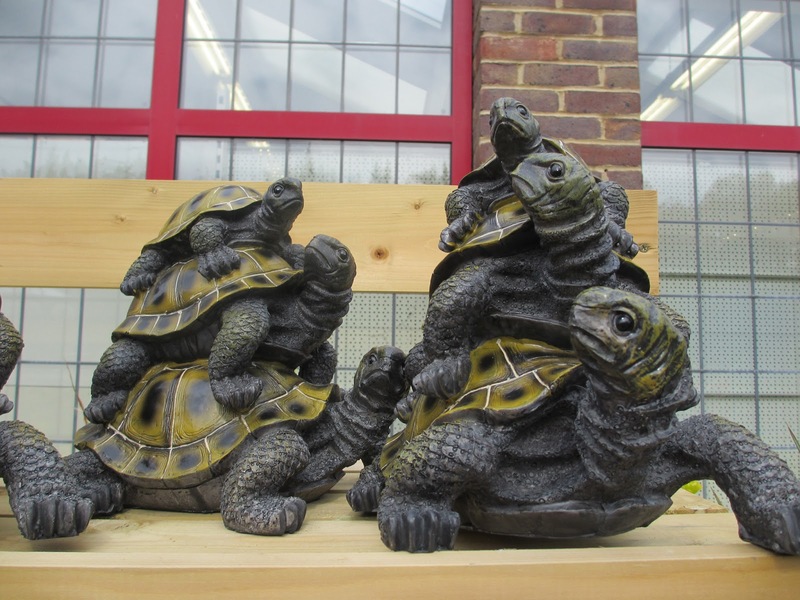 Or a pile of pot tortoises? Gnomes are definitely out these days.